The Remains of the Day is a really, really good book. In fact, it’s an excellent book. This is not a review of The Remains of the Day, however. It is instead a meditation on the thorny problem of whether the work of Kazuo Ishiguro can be considered “Japanese” literature. The essence of this problem is “Japaneseness.” What is it, who has it, and who doesn’t? Since I am an American, it’s useful for me to consider the related problem of “Americanness.” How does one become culturally American? Is such a feat accomplished by matriculating into high school, taking classes, going to football games on Friday nights, agonizing over whom to invite to the prom, and listening to My Chemical Romance while studying for the SAT? If so, what happens when experiences of high school are radically different? I am referring not merely to disparities in experience according to one’s rank in the imaginary jock/geek hierarchy, but rather to the diversity of the experiences of a student in a small rural school in the South, and a student in a rich private school in New York, and a student in a large suburban school in the Midwest, and a student in school with a large immigrant population in southern Arizona. There are many different types of Americanness, as any young hipster from Seattle or old Republican from Mississippi could tell you. For me personally, moving from Atlanta to Philadelphia was like moving to a different country. Although Japan is smaller than America in terms of both population and land area, there is an enormous diversity of Japaneseness. Younger Japanese do not grow up in the same world as their parents, who in turn did not grow up in the same world as their parents. The rural/urban divide is fairly pronounced, as is the divide between geographical locations (such as between Tōhoku and Kantō, or between Tokyo and Osaka). There are also a number of ethnic minorities in Japan, such as the burakumin, the Okinawans, and any number of resident Koreans, Chinese, and Filipinos. The people living on the Japanese archipelago speak many markedly different dialects of Japanese, and different groups of people were taught and believe in different versions of Japanese history. We group all of these people together and call them “Japanese,” but the nation of Japan is an imagined community just like any other, and the degrees to which individuals opt into (or opt out of) this community can vary significantly. Even though there is really no such thing as “Japaneseness,” I believe there should be a place in a college curriculum for courses like “Introduction to Japanese Civilization.” In order to teach such a class, a professor has to make up a story, and it is often useful for that story to be told teleologically (chronologically from “beginning” to “end”) instead of thematically. Even though the professor knows that he or she is simplifying and omitting and thereby telling a story that isn’t necessarily true, it’s still important to have a story to tell. An outline of Japan colored with rough brushstrokes is better than an outline of Japan left blank, after all. A constructed story is useful not only as a teaching device but also as a cultural bridge; it is in many ways worthwhile to tell students just beginning to learn about Japan the same story that many Japanese tell themselves. Therefore, when we talk about “Japanese” literature, we need to decide what counts as “Japanese.” This is more difficult than it initially seems. For example, take T.S. Eliot, who was born and raised in America but spent his adult life in Britain and considered himself British. Is Eliot an American poet, or is he a British poet? My high school textbook couldn’t decide. Vladimir Nabokov is another good example. Although he grew up in Russia and in many ways consciously retained his Russian heritage (by translating his own works from and into Russian, for example), he lived in America (and Berlin, and Switzerland) and wrote in English. Is Nabokov American or Russian or something else altogether? The blurb on the back of the Vintage editions of his books skillfully evades the matter. An even trickier example is Tawada Yōko, who lives in Germany and writes poems and stories in both German and Japanese about being a Japanese person in Germany. Two major contemporary Japanese writers, Ōe Kenzaburō and Murakami Haruki, not only speak other languages besides Japanese but also frequently spend long stretches of time living outside Japan. Assigning “Japaneseness” to any one person is therefore difficult; but, in the end, it is convenient to be able to draw a line somewhere, even if that line is in the faintest of pencil. In terms of literature, I think it’s reasonable to categorize anything written in the Japanese language(s) as Japanese literature. But what about texts not written in Japanese? Specifically, can we call the work of Kazuo Ishiguro, who grew up in England and writes in English about being English in England, Japanese literature? I would like to argue that this doesn’t make a great deal of sense. First of all, assuming that someone is Japanese simply because of his name comes dangerously close to racism. If “racism” is too loaded a term, then perhaps “culturalism” might be better. Is there some ineffable quality about someone of Japanese descent that makes him irrevocably “Japanese”? If nothing else, to point to someone who has grown up in the same cultural background and call him different because of his name or the color of his skin or his parents’ country of origin is problematic, to say the least. Second, including Ishiguro in a canon of modern Japanese authors feels somewhat ethnocentric to me. The Japanese themselves consider Ishiguro to be a foreign writer – his novels are translated into Japanese, and his name is written in katakana like the names of other foreign authors. Ishiguro’s relationship with Japan is complicated, but he himself has said in so many words that he doesn’t consider himself to be a Japanese writer. To ignore the claims of the author and the Japanese literary establishment and to insist that novels written by a British citizen in English about Britain are Japanese literature seems misguided at best and pigheaded at worst, as if the Japanese themselves cannot produce or canonize their own literary works. One might as well call Muriel Bradbury’s The Elegance of the Hedgehog a classic of Japanese literature simply because it features a Japanese character and a few amateurish haiku. I started thinking about Kazuo Ishiguro’s “Japaneseness” when I was sent a list of 20 Essential Works of Japanese Literature from Bachelor’s Degree Online. I have many problems with this list (including, most obviously, the fact that The Woman in the Dunes was written by Abe Kōbō and not Teshigahara Hiroshi, who directed the film version), but the inclusion of a male writer who isn’t even “Japanese” at the expense of many fantastic female writers was like a kick in the gut, especially considering that the ratio of modern male authors to modern female authors is thirteen to one. 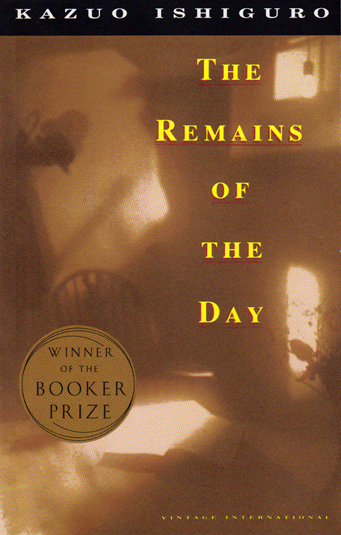 Even if one wanted to make a case for a literature of diaspora, wouldn’t Ishiguro’s An Artist of the Floating World be a better choice than The Remains of the Day? In the end, though, who is to say what is Japanese and what isn’t? What I have stated is merely my opinion, and my opinion is that perhaps it makes more practical sense to keep Ishiguro on the list of The 50 Greatest British Writers since 1945 instead of forcibly transplanting him onto a list that begins with the Kōkin Wakashū. We deal with similar issues, of course, in art history. Does Clifton Karhu, an American of Finnish descent, born and raised in Minnesota, who spent decades in Kyoto and Kanazawa, producing woodblock prints in a more traditional manner than the vast majority of other contemporary print artists in Japan, count as Japanese? And then of course there are diaspora artists, too. For whatever reason, this issue seems to come up a lot more in Chinese art than in Japanese art. When a Chinese artist operates out of New York, can his work still be considered part of the current trends in “Chinese contemporary art”? Does it have to be? Can it be considered “American art”? Anyway, Ishiguro seems a perfect example with which to address this question. It seems to me it has to do with the degree to which people of East Asian descent are perpetually seen as foreigners, or as immigrants, and not as assimilated members of society who can be fully seen as British or American or whathaveyou, on whatever subconscious, discursively ingrained level. Each artist of course has his own personal opinions on this, whether they wish to be seen as Chinese, or as American, or as Asian-American, or definitively not as any one of those categories… But we still find it difficult to see them as purely American and not at all as Chinese or Asian-American, both simply as people – i.e. if we were to meet them on the street – and also in our considerations of them as belonging to certain trends in contemporary art. It seems to me it has to do with the degree to which people of East Asian descent are perpetually seen as foreigners, or as immigrants, and not as assimilated members of society who can be fully seen as British or American or whathaveyou, on whatever subconscious, discursively ingrained level. I was thinking quite a bit about this, actually, but I decided to omit my thoughts on the matter because they confused even me. My ultimate conclusion, however, was that if the writer’s name were, say, Neville Longbottom instead of Kazuo Ishiguro, I don’t think anyone reading his novels or his interviews would have even the slightest idea that he’s of Japanese origin. Hyphenization is fine when it’s encouraged by the artist; but, if it’s an excuse to create and perpetuate cultural stereotypes, it rubs me the wrong way. That being said, you make some fantastic points. Thank you so much for your comment! Personally, the only works of Japanese literature I’ve really enjoyed (besides Murakami) were written by women (specifically The River Ki and The Waiting Years). Also, the most convincing reason to me that Ishiguro is not a “Japanese writer” is that his work doesn’t seem to draw anything from the modern Japanese literary tradition. I say ‘seem’ because I haven’t read anything by him. I had not heard of The River Ki. I think I am going to go over to Amazon and order a copy right now. Now that Kodansha International is closing shop, I guess I’d better get one while I still can. Thank you so much for the recommendation! And that is why I don’t feel bad about saying mean things about the list, which a nice man sent me as part of a nice email. This is the query I had when I first joined the Japanese Literature Challenge. Your discussion is most relevant and applies to many areas of our globalized culture. Even the film The Remains of the Day could only be described as British mainly because of its subject matter. The producer was Mumbai born Ismail Merchant, funded mainly by a Japanese source, directed by an American James Ivory, screenplay written by Ruth Prawler Jhabvala, who was born in Germany of Jewish descent, later married an Indian and spent 25 years of her life in India before moving to Britain and still later, became an American citizen. Well, it’s multiplicity we see everyday, and borders are blurred, identities are hybrid, making definitions very arbitrary. However, I believe such hybridity can only enhance the human experience. I’m all the more grateful for the literature, art and films produced through such lenses. I agree with you in placing Ishiguro in the British category. Like, a quick parallel, I wouldn’t say Amy Tan is a Chinese writer, but American. Having said that, your first commenter is right to point out that often the ‘visible minorities’ (this is an official term here in Canada, can you believe it) are referred in hyphenated terms, like Tan would likely be called Asian- or Chinese-American. I was actually thinking about Amy Tan when I was writing all of this, specifically her “hyphenization” as a Chinese-American writer. I was also thinking of Julie Otsuka, a Japanese-American writer whose When the Emperor Was Divine made a big splash a few summers ago when it was released in paperback. And then I was thinking about Tamai Kobayashi, a Japanese-Canadian lesbian who writes about being a Japanese-Canadian lesbian. I think the hyphenization of these writers makes sense, since it seems to be a huge part of their identity as writers. I sense that hyphenization less in Ishiguro’s work (with the exception of two lesser-known novels which read like silly Japan fantasies, it’s nonexistent), and to hyphenize him as a Japanese-British writer seems somewhat jarring and inappropriate to me personally. In my humble opinion Ishiguro is a British author from Japanese descent. Actually, one of the greatest and most amazing novelists of the day. However, I do feel his “japaneseness” throughout his work, at least what I personally mean with this term. He uses rather simple language as in the traditional haiku poetry, but the ultimate impact of it is simply astonishing. Like in haiku, Ishiguro has achieved a moment in eternity in each of his texts. It is hard to explain, but I feel both the moment and eternity in each of his novels as I had truly experienced them. I don’t know though if that’s “japaneseness”, perhaps it’s just great literature, regardless of the author’s origin. In my humble opinion Ishiguro is a British author from Japanese descent. I agree with you there, because this is a fact. This isn’t a matter of opinion; it’s a matter of legal citizenship. Problems arise when people stop talking about easily verifiable facts and start talking about culture, such as when Ishiguro’s writing is compared to the “simple language” of “the traditional haiku poetry,” for example. Let’s start with “traditional.” By using the definite article “the,” you are implying that there is only one tradition to which you are referring. So, out of the many, many, many schools of poetry that have incorporated seventeen-syllable sections throughout centuries of Japanese literary history, which one “tradition” did you mean to designate? Or are you perhaps referring to one of the several traditions of translated and/or original English-language haiku native to countries like Britain and America? If you perhaps meant to reduce something with such a long, complex, and international history to a single tradition, wouldn’t that be both irresponsible and meaningless? For the record, I don’t think that Ishiguro uses particularly simple language either. Anyway, if you have some vague notion of “Japanesenes” that “is hard to explain” floating around in your head, no one is going to stop you from applying it to whatever you want if it increases your enjoyment of a particular writer’s work. What I am trying to argue is that, objectively, a cultural essence of “Japaneseness” does not exist, and to say that a person somehow has access to this essence simply because of his heritage is troubling. It’s like saying that a black person born in Britain after her parents immigrated from Cairo is somehow able to understand the essence of Africa because of her skin color. I have written you such a long and bitter response because I hate this sort of thinking. I think you and I are ultimately on the same page, but it’s always good to break down cultural generalizations.